Another Latin American leader is facing corruption charges. 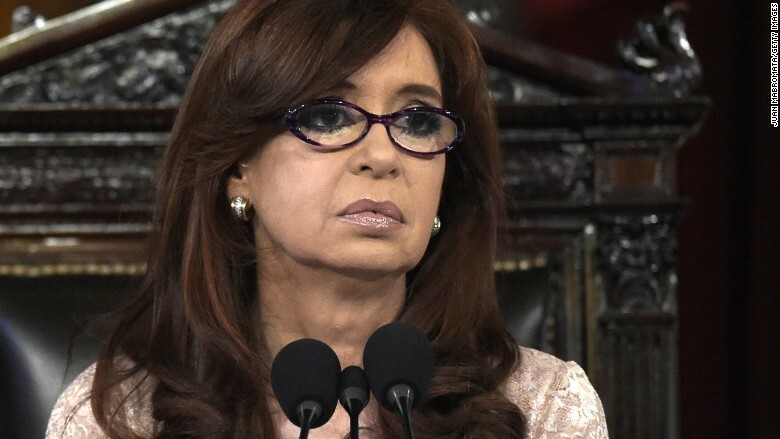 Argentina's former president, Cristina Fernández de Kirchner, was indicted Friday for allegedly meddling with the sale of dollars by the nation's central bank. If the claim is true that Kirchner's team fixed the contracts, their aim was to make Argentina's finances look better than they actually were ahead of an election that Kirchner's party lost. Kirchner's former finance minister, Axel Kicillof, and the ex-central bank chief, Alejandro Vanoli, were also indicted, along with 15 other officials. The indictment comes a day after Brazil's former president, Dilma Rousseff, temporarily resigned in the face of an impeachment trial. Kirchner, a populist president who held office for eight years, didn't immediately comment on the charges. On April 13, she testified in court and criticized the investigation as being politically motivated. Kiciloff, the finance minister, tweeted Saturday that the judge who issued the indictment is "absurdly prosecuting" Kirchner, who is also being investigated in a separate case for money laundering. The judge, in a 147-page ruling, alleged that Kirchner and others colluded to have the central bank sell up to $17 billion in futures contracts at 10.65 pesos to the dollar. At the time, global futures markets valued the peso at 14 to 15 pesos per dollar. By attempting to manipulate the sales, the central bank would have been trying to artificially beef up foreign reserves -- money it could have used to prop up its currency. At the time, the peso was plummeting and Argentina was running low on foreign reserves. As president, Kirchner controlled the currency and printed money for years. Her policies cost her credibility with economists and investors. Argentina's economy hit the skids during her tenure. Inflation soared over 25% a year in the last four years and many economists labeled Argentina as one of the world's worst economies. The downturn was the main reason why Argentines elected Mauricio Macri president last fall. Macri has made a wave of economic changes. One of his first decisions was to devalue the peso to 15 pesos per dollar, in line with international expectations. Macri also struck a deal to resolve a 15-year legal fight with American hedge funds. Kirchner had refused to negotiate with the hedge funds, which she called "vultures." In April, Argentina was able to borrow $16.5 billion from international investors, marking the country's return to the debt markets for the first time since it defaulted in 2001.